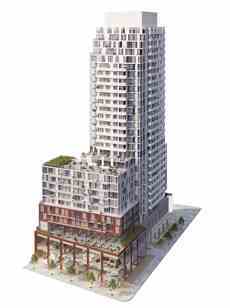 Whitehaus Condos with 28 storeys is a condo development By Lifetime Developments and Knightstone Capital Management. Interior designing is conducted by Cecconi Simone. With its defining architecture and inspiring amenities, Whitehaus is set to be an iconic new destination in Yonge and Eglinton neighbourhood. Lifetime Developments For more than three decades, Lifetime Developments has demonstrated unparalleled foresight, building in strategic locations across the Greater Toronto Area. By successfully identifying the neighbourhoods poised to become thriving communities, we remain at the forefront of the city’s ever-burgeoning real estate industry. Knightstone Capital Management Inc. is a privately-owned Toronto-based boutique real estate investment, asset management, and development company. Our portfolio is comprised of institutional-grade retail, as well as multi-residential projects specifically targeted at the emerging academic residence asset class. 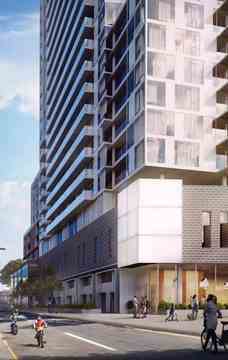 Whitehaus Condos is located at Yonge and Eglinton, Toronto just steps to the Eglinton subway. Builders : Lifetime Developments & Knightstone Capital Management Inc.
WhitehausBuilder(s): Lifetime Developments,Knightstone Capital Management Inc.